HISTORY NOT taught in High School! 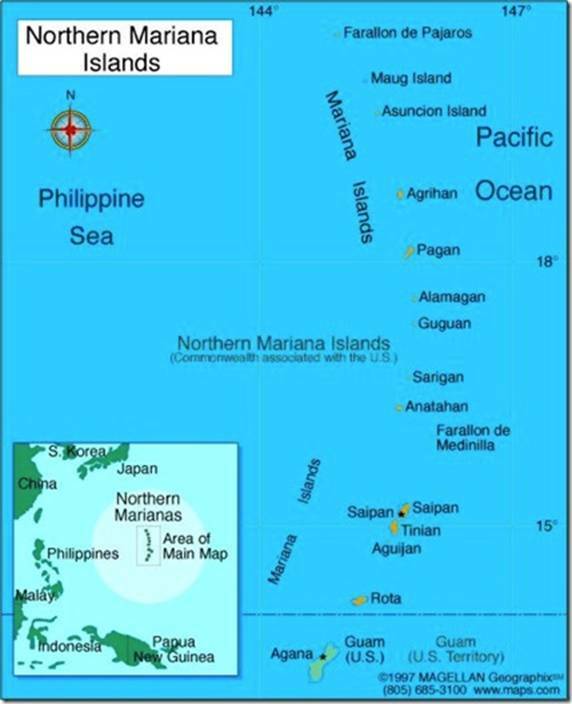 It’s a small island, less than 40 square miles, a flat green dot in the vastness of Pacific blue. Fly over it and you notice a slash across its north end of uninhabited bush, a long thin line that looks like an overgrown dirt runway. If you didn’t know what it was, you wouldn’t give it a second glance out your airplane window. 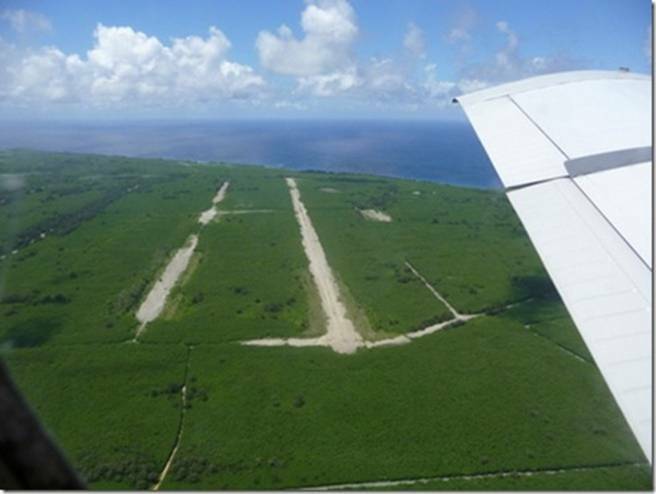 On July 24, 1944, 30,000 US Marines landed on the beaches of Tinian…. Eight days later, over 8,000 of the 8,800 Japanese soldiers on the island were dead (vs. 328 Marines), and four months later the Seabees had built the busiest airfield of WWII – dubbed North Field – enabling B-29 Superfortresses to launch air attacks on the Philippines, Okinawa, and mainland Japan. 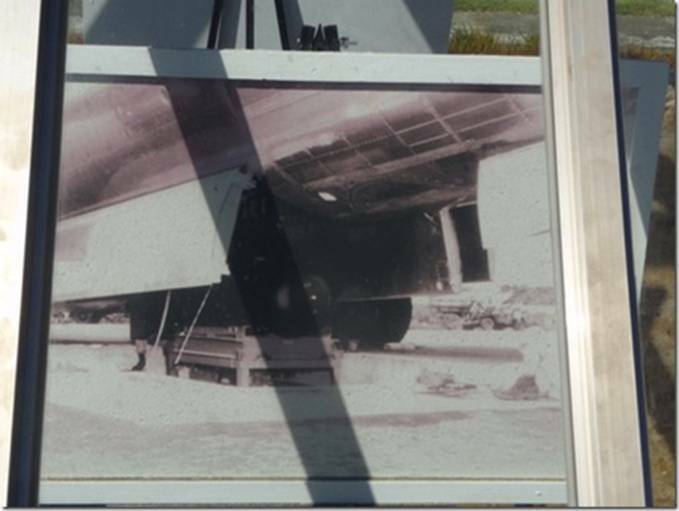 Late in the afternoon of August 5, 1945, a B-29 was maneuvered over a bomb loading pit, then after lengthy preparations, taxied to the east end of North Field’s main runway, Runway Able, and at 2:45am in the early morning darkness of August 6, took off. The B-29 was piloted by Col. Paul Tibbets of the US Army Air Force, who had named the plane after his mother, Enola Gay. The crew named the bomb they were carrying Little Boy. 6 hours later at 8:15am, Japan time, the first atomic bomb was dropped on Hiroshima. Three days later, in the pre-dawn hours of August 9, a B-29 named Bockscar (a pun on “boxcar” after its flight commander Capt. Fred Bock), piloted by Major Charles Sweeney took off from Runway Able. Finding its primary target of Kokura obscured by clouds, Sweeney proceeded to the secondary target of Nagasaki, over which, at 11:01am, bombardier Kermit Beahan released the atomic bomb dubbed Fat Man. 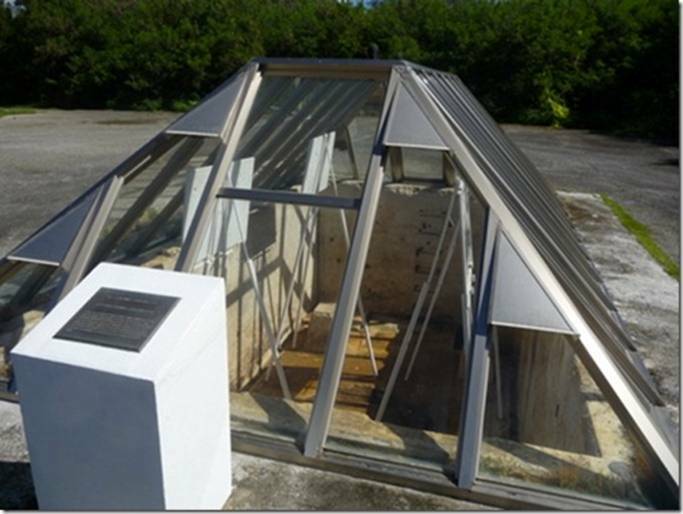 Here is “Atomic Bomb Pit #1” where Little Boy was loaded onto Enola Gay. There are pictures displayed in the pit, now glass-enclosed. 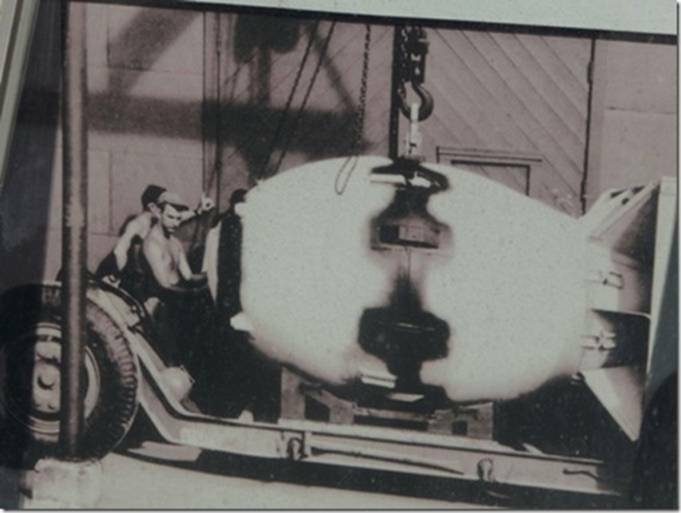 This one shows Little Boy being hoisted into Enola Gay’s bomb bay. And here on the other side of ramp is “Atomic Bomb Pit #2” where Fat Man was loaded onto Bockscar. Take a good look at these pictures. This is where World War II ended with total victory of America over Japan. I was there all alone. There were no other visitors and no one lives anywhere near for miles. 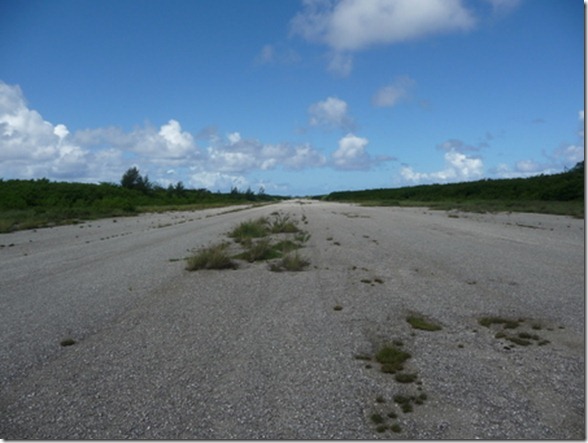 Visiting the Bomb Pits, walking along deserted Runway Able in solitude, was a moment of extraordinarily powerful solemnity. It was a moment of deep reflection. Most people, when they think of Hiroshima and Nagasaki, reflect on the numbers of lives killed in the nuclear blasts – at least 70,000 and 50,000 respectively. Being here caused me to reflect on the number of lives saved – how many more Japanese and Americans would have died in a continuation of the war had the nukes not been dropped. Yet that was not all. It’s not just that the nukes obviated the US invasion of Japan, Operation Downfall, that would have caused upwards of a million American and Japanese deaths or more. It’s that nuking Hiroshima and Nagasaki were of extraordinary humanitarian benefit to the nation and people of Japan. 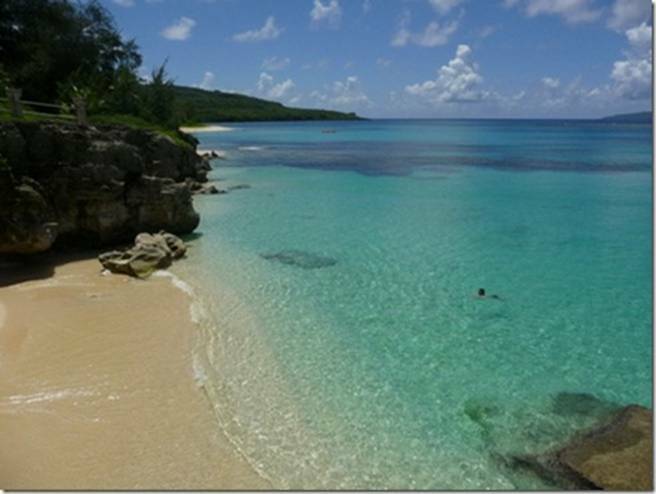 Saipan is less than a mile north of Tinian…. 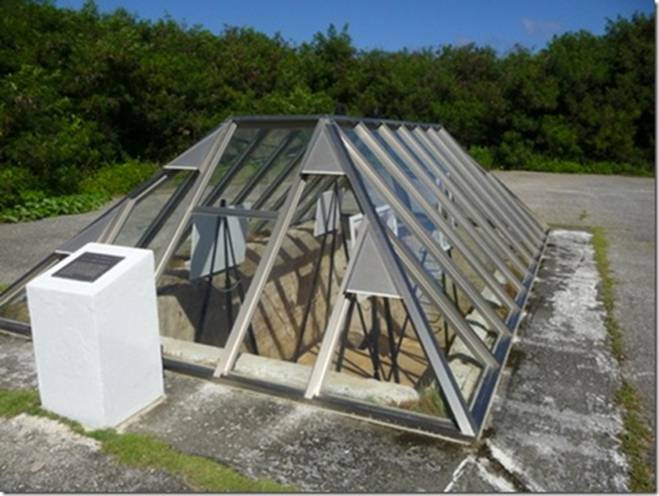 The month before the Marines took Tinian, on June 15, 1944, 71,000 Marines landed on Saipan…. They faced 31,000 Japanese soldiers determined not to surrender. 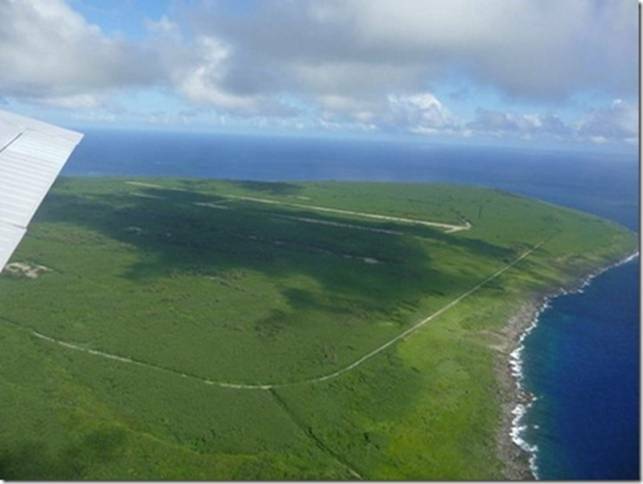 Japan had colonized Saipan after World War I and turned the island into a giant sugar cane plantation. By the time of the Marine invasion, in addition to the 31,000 entrenched soldiers, some 25,000 Japanese settlers were living on Saipan, plus thousands more Okinawans, Koreans, and native islanders brutalized as slaves to cut the sugar cane. Within a week of their landing, the Marines set up a civilian prisoner encampment that quickly attracted a couple thousand Japanese and others wanting US food and protection. When word of this reached Emperor Hirohito – who contrary to the myth was in full charge of the war- he became alarmed that radio interviews of the well-treated prisoners broadcast to Japan would subvert his people’s will to fight. As meticulously documented by historian Herbert Bix in “Hirohito and the Making of Modern Japan”, the Emperor issued an order for all Japanese civilians on Saipan to commit suicide. The order included the promise that, although the civilians were of low caste, their suicide would grant them a status in heaven equal to those honored soldiers who died in combat for their Emperor. And that is why the precipice in the picture above is known as Suicide Cliff, off which over 20,000 Japanese civilians jumped to their deaths to comply with their fascist emperor’s desire – mothers flinging their babies off the cliff first or in their arms as they jumped. Anyone reluctant or refused, such as the Okinawan or Korean slaves, were shoved off at gunpoint by the Jap soldiers. Then the soldiers themselves proceeded to hurl themselves into the ocean to drown off a sea cliff afterwards called Banzai Cliff. Of the 31,000 Japanese soldiers on Saipan, the Marines killed 25,000, 5,000 jumped off Banzai Cliff, and only the remaining thousand were taken prisoner. The extent of this demented fanaticism is very hard for any civilized mind to fathom- especially when it is devoted not to anything noble but barbarian evil instead. The vast brutalities inflicted by the Japanese on their conquered and colonized peoples of China, Korea, the Philippines, and throughout their “Greater East Asia Co-Prosperity Sphere” was a hideously depraved horror. And they were willing to fight to the death to defend it. So they had to be nuked. The only way to put an end to the Japanese barbarian horror was unimaginably colossal destruction against which they had no defense whatever… Nuking Japan was not a matter of justice, revenge, or it getting what it deserved. It was the only way to end the Japanese dementia. And it worked – for the Japanese. They stopped being barbarians and started being civilized. They achieved more prosperity- and peace- than they ever knew, or could have achieved had they continued fighting and not been nuked. The shock of their getting nuked is responsible. We achieved this because we were determined to achieve victory. Victory without apologies. Despite perennial liberal demands we do so, America and its government has never apologized for nuking Japan…Hopefully, America never will. I find stories such as this one just plain fascinating. Although we do not forget, history fades into the shadows of our mind and we seldom think about it. But, we should remember and we should be constantly reminded of our history, where we came from and how we got here. Kind of interesting… Anyway, I think so………..
I’m not talking about illegal Mexicans ~ I’m talking about our troops! Doesn’t it seem strange that many Democrats and Republicans are willing to lavish all kinds of social benefits on illegals, but don’t support our troops, and are even threatening to defund them? They don’t seem to remember that without our military we would be subject to someone else’s rule. Freedom isn’t free! We must always remember that and support our servicemen and women. 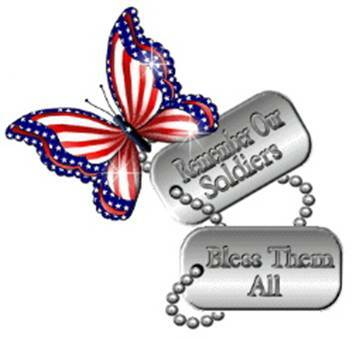 May God bless our troops and keep them safe always. Read below pic before making judgment on ‘The Finger’ gesture and you’ll understand…. THIS NEEDS TO KEEP GOING! Leading the fight is U S Marine Gunnery Sgt. Michael Burghardt, known as ‘Iron Mike’ or just ‘Gunny’. He is on his third tour in Iraq. He had become a legend in the bomb disposal world after winning the Bronze Star for disabling 64 IEDs and destroying 1,548 pieces of ordnance during his second tour. Then, on September 19, he got blown up… He had arrived at a chaotic scene after a bomb had killed four US Marines… He chose not to wear the bulky bomb protection suit. ‘You can’t react to any sniper fire and you get tunnel-vision,’ he explains. So, protected by just a helmet and standard-issue flak jacket, he began what bomb disposal officers term ‘the longest walk’, stepping gingerly into a 5 foot deep and 8 foot wide crater. The earth shifted slightly and he saw a Senao base station with a wire leading from it… He cut the wire and used his 7 inch knife to probe the ground. ‘I found a piece of red detonating cord between my legs,’ he says. ‘That’s when I knew I was screwed.’ Realizing he had been sucked into a trap, Sgt. Burghardt, 35, yelled at everyone to stay back. At that moment, an insurgent, probably watching through binoculars, pressed a button on his mobile phone to detonate the secondary device below the sergeant’s feet. 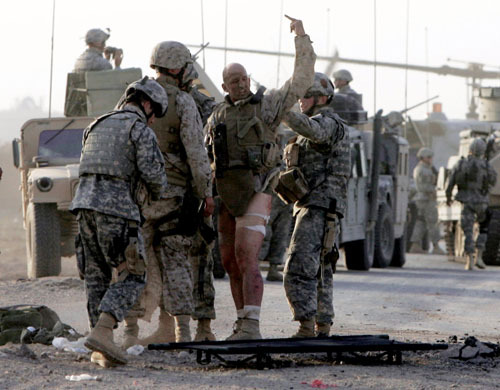 Copies of a photograph depicting his defiance, taken by Jeff Bundy for the Omaha World-Herald, adorn the walls of homes across America and that of Col. John Gronski, the brigade commander in Ramadi, who has hailed the image as an exemplar of the warrior spirit. Sgt. Burghardt’s injuries – burns and wounds to his legs and buttocks – kept him off duty for nearly a month and could have earned him a ticket home. But, like his father – who was awarded a Bronze Star and three Purple Hearts for being wounded in action in Vietnam – he stayed in Ramadi to engage in the battle against insurgents who are forever coming up with more ingenious ways of killing Americans. Are you proud enough to send this on? THIS HAS GOT TO BE THE MOST OUTRAGEOUS STATEMENT EVER MADE BY A PUBLIC OFFICIAL, LET ALONE BY THE PRESIDENT OF THE UNITED STATES, AND THIS GUY IS OUR “COMMANDER IN CHIEF”. HERE IS HIS RESPONSE WHEN HE BACKED OFF FROM HIS DECISION TO REQUIRE THE MILITARY TO PAY FOR THEIR WAR INJURIES. Bad press, including major mockery of the plan by comedian Jon Stewart, led to President Obama abandoning his proposal to require veterans carry private health insurance to cover the estimated $540 million annual cost to the federal government of treatment for injuries to military personnel received during their tours on active duty. My advice to Sheik B. Hussein Obama…..
REMEMBER…IF YOU WON’T STAND BEHIND OUR TROOPS, FEEL FREE TO STAND IN FRONT OF THEM!!!!! Please pass this on to every vet and their families whom you know. ‘My soldier is on his way back to Virginia,’ he said. He proceeded to answer my questions, but offered no words on his own. We completed our preflight checks, pushed back and performed an uneventful departure. About 30 minutes into our flight I received a call from the lead flight attendant in the cabin. ‘I just found out the family of the soldier we are carrying, is on board’, he said. He then proceeded to tell me that the father, mother, wife and 2-year old daughter were escorting their son, husband, and father home. The family was upset because they were unable to see the container that the soldier was in before we left. When the family got up and gathered their things, a passenger slowly started to clap his hands… Moments later more passengers joined in and soon the entire aircraft was clapping. Words of ‘God Bless You’, I’m sorry, thank you, be proud, and other kind words were uttered to the family as they made their way down the aisle and out of the airplane. They were escorted down to the ramp to finally be with their loved one. Many of the passengers disembarking thanked me for the announcement I had made. They were just words, I told them, I could say them over and over again, but nothing I say will bring back that brave soldier. Foot note: As a Veteran I can only think of all the veterans including the ones that rode below the deck on their way home and how they we were treated. When I read things like this I am proud that our country has not turned their backs on our soldiers returning from the various war zones today and give them the respect they so deserve. For anyone that does family history or genealogy work the following information will be useful at some point in your information searches. Hope you can out this to good use, and happy hunting. So that your family can sleep without fright. PLEASE, would you do me the kind favor of sending this to as many people as you can? Christmas will be coming soon and some credit is due to our U.S. Service men and women for our being able to celebrate these festivities. Let’s try in this small way to pay a tiny bit of what we owe. Make people stop and think of our heroes, living and dead, who sacrificed themselves for us.